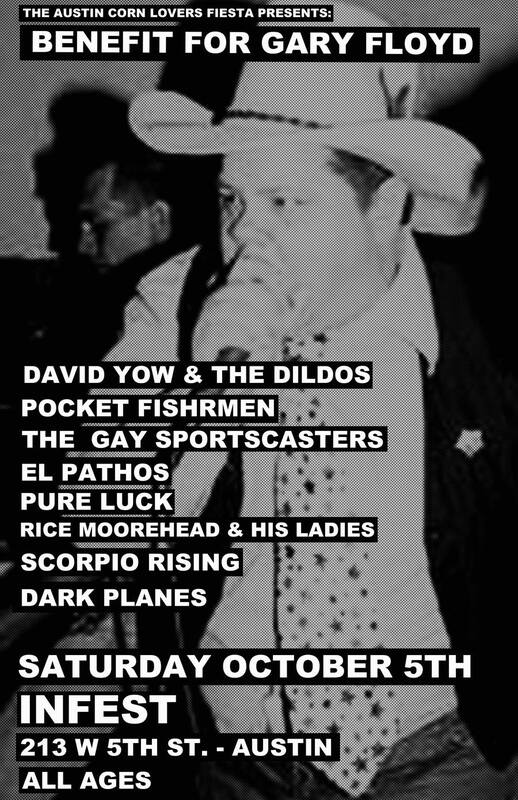 David Yow, screamer for the Jesus Lizard and Scratch Acid, returns to Austin this fall to front another legendary local band from the Eighties: the Dicks...billed as David Yow & the Dildos [as] part of [the] annual Austin Corn Lover's Fiesta on Oct. 5 at Infest, not to be confused with another "ACL" that takes place the same weekend. Yow subs in for Dicks frontman Gary Floyd, who's sidelined as he deals with multiple knee surgeries and being evicted from his rent-controlled apartment in San Francisco (revisit "Saturday Night at the Bookstore," May 12, 2000). Proceeds from the event, which also features Honky and the Gay Sportscasters, benefit Floyd.